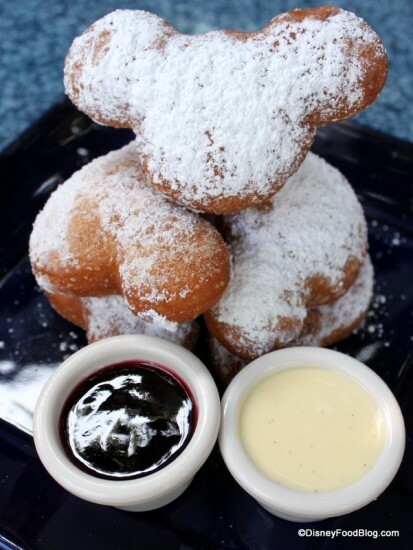 Here at the DFB, we love a good Disney food mash-up, but truth be told, even in our wildest dreams we never conjured up this one: Donut Nuggets. 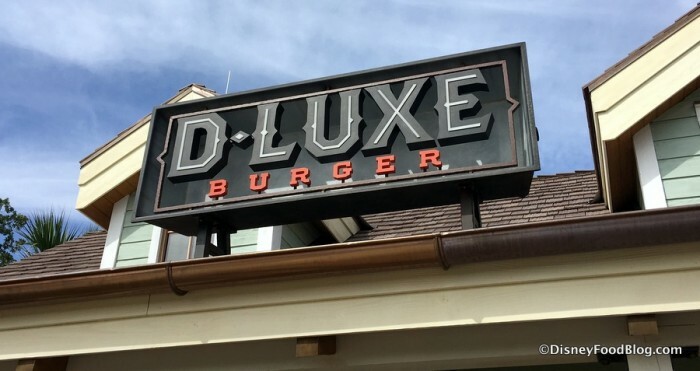 The masters of American casual comfort food at D-Luxe Burger are the brainiacs behind this new creation, and since we are masters of, you know, eating donuts and nuggs, we had to get in on the action. D-Luxe has quickly gone to the top of our favorite counter service burgers because — for once! — the burgers themselves aren’t overdone hockey pucks! We also enjoy the clever combinations of ingredients, like the Southern Burger with fried green tomatoes and pimento cheese (the caviar of the south, y’all!). Plus they have several dipping sauces, and that’s never a bad thing. 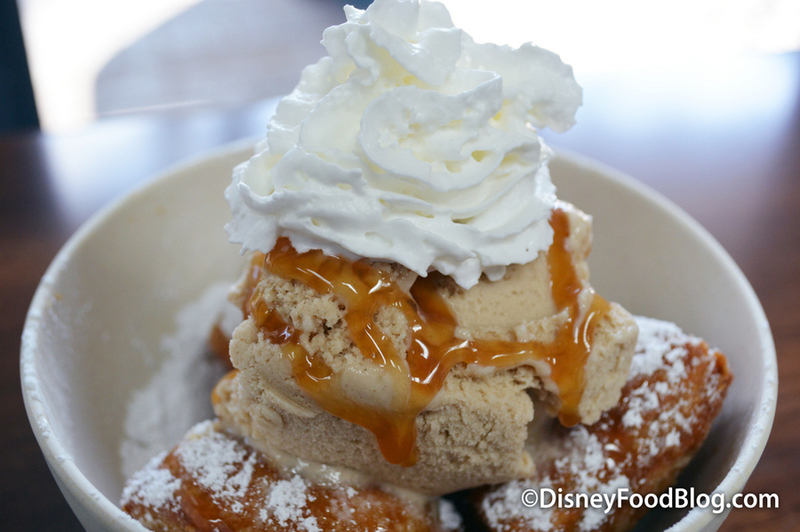 New DFB Video: Beignets (and the Beignet Gelato Sundae!) at Port Orleans Resort, French Quarter! Happy Funday Monday! 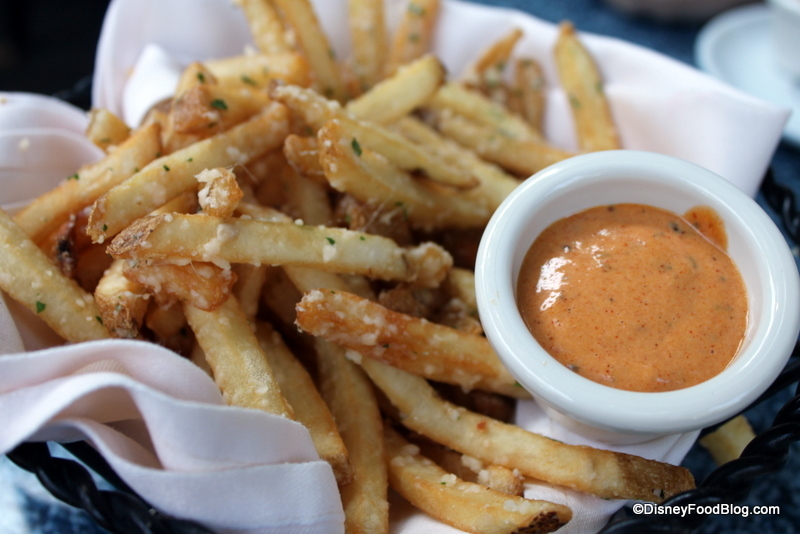 Today, we thought we’d take a closer look at one of our favorite Disney Resort Snacks in our latest DFB Video. 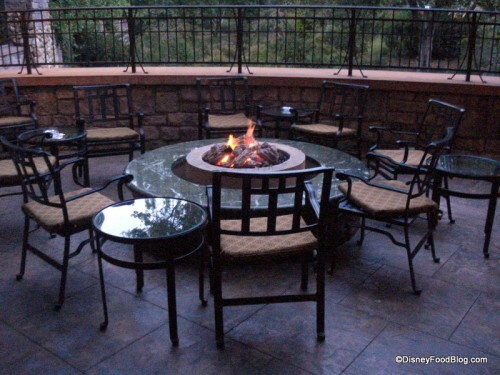 So join me as we head over to the shady squares of Port Orleans French Quarter Resort. 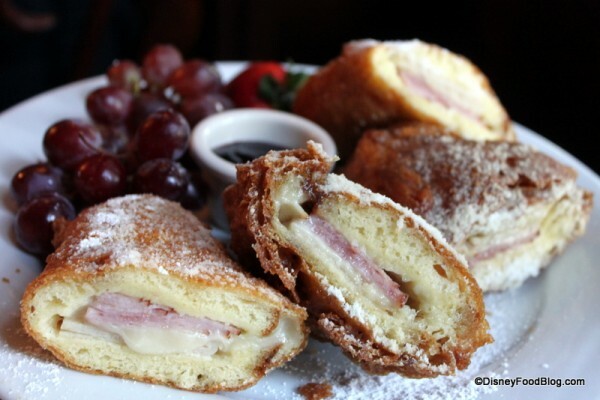 And when we go to Port Orleans you know we aren’t leaving without snagging an order or three of their amazing Beignets! 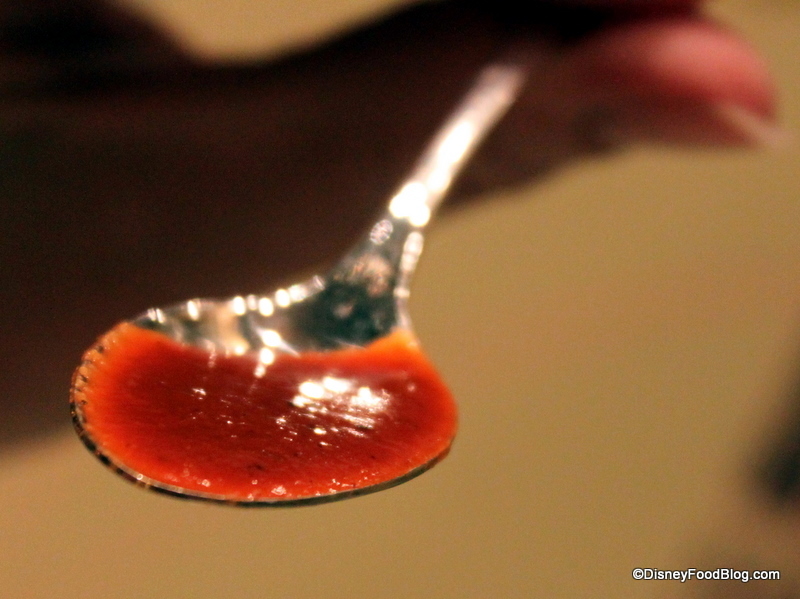 We are back with another of our favorite Disneyland Snack Hacks! And this time, it’s dessert all the way, my friends. 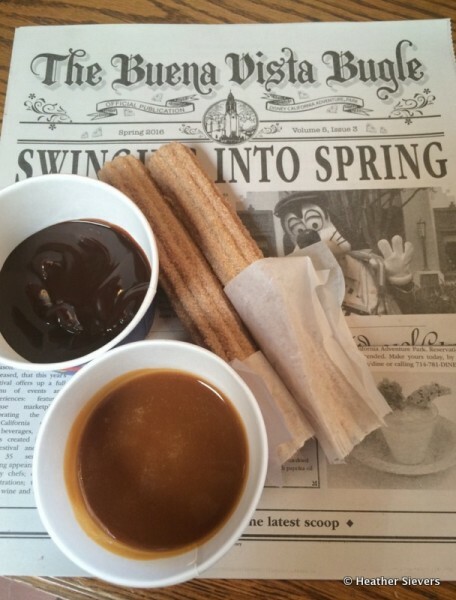 Previously, we shared with you some winners, like the Saucy Cheddar Cheese Stick and our very own Churro Sundae. And who could forget the Tajin Dole Whip? YUM. Dining in Disneyland authority Heather comes up with some amazing ideas when it’s time to snack in Disneyland. And it seems that Churros, in particular, lend themselves really well to new snack ideas. Today, we’re gonna dip ’em. We’ve Got Churros. We’ve Got Sauce. 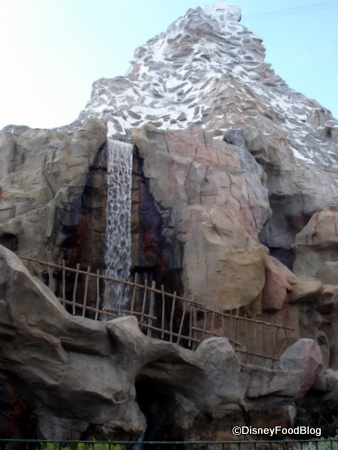 We’re heading into Disneyland for a taste of the Big Easy. Let’s check out Royal Street Veranda! 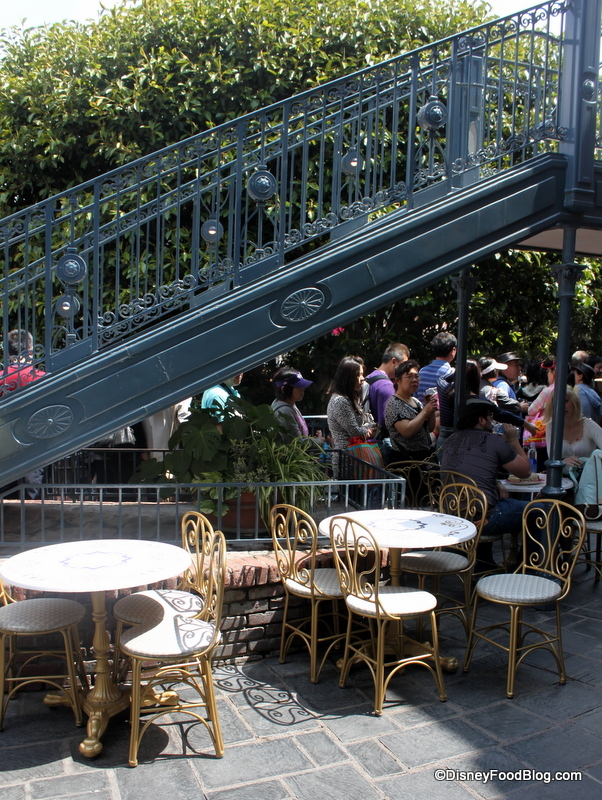 Located in New Orleans Square, this spot is a great place to relax with a cup of coffee or a bite to eat before hopping aboard your Pirates of the Caribbean boat. 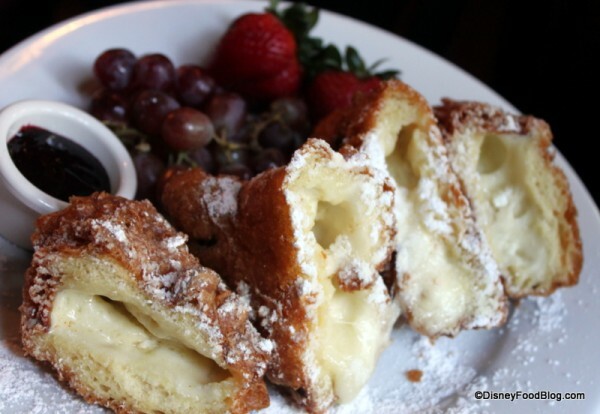 Today, I’m enjoying a classic Disneyland meal — and sampling a unique dessert! 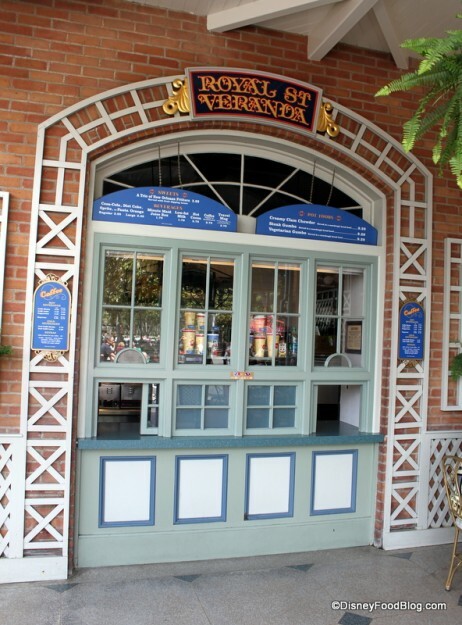 The atmosphere of Royal Street Veranda is actually the atmosphere of New Orleans Square, since it’s really just a walk up window. That slice of Deep-South-Meets-Colonial-Port-Town is evident all around you. 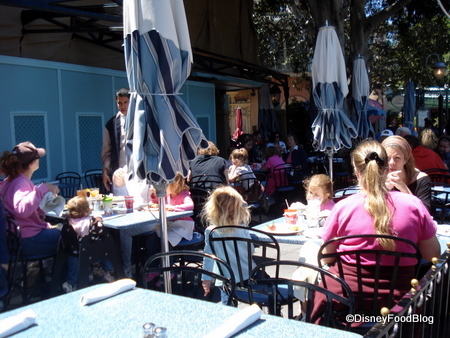 The stone terrace that serves as the spot’s seating area bumps right up beside the line for Pirates of the Caribbean. After a busy morning of fun, I was so ready to tuck into a light lunch. Join me! 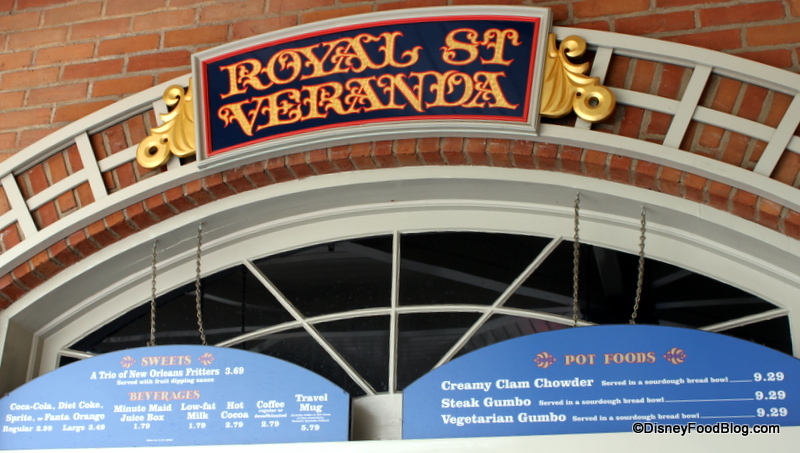 Royal Street Veranda offers a very limited menu. Basically, there are a few drink options; three soups — clam chowder, steak gumbo, and vegetarian gumbo; and a trio of fritters. May seem minimal, but it fits the bill nicely for this little stand. 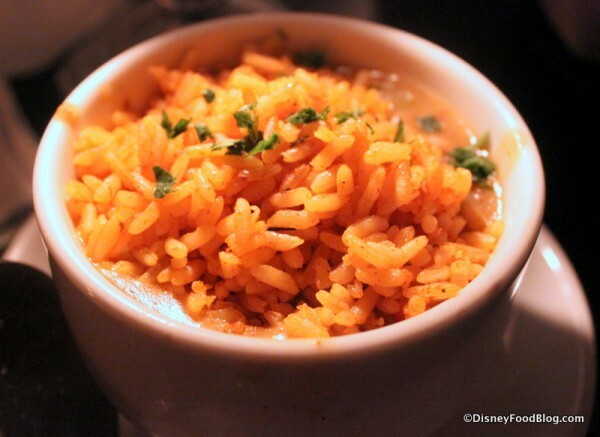 And you know how much we love unique, can’t-get-it-anywhere-else Disney menu items! Donuts! 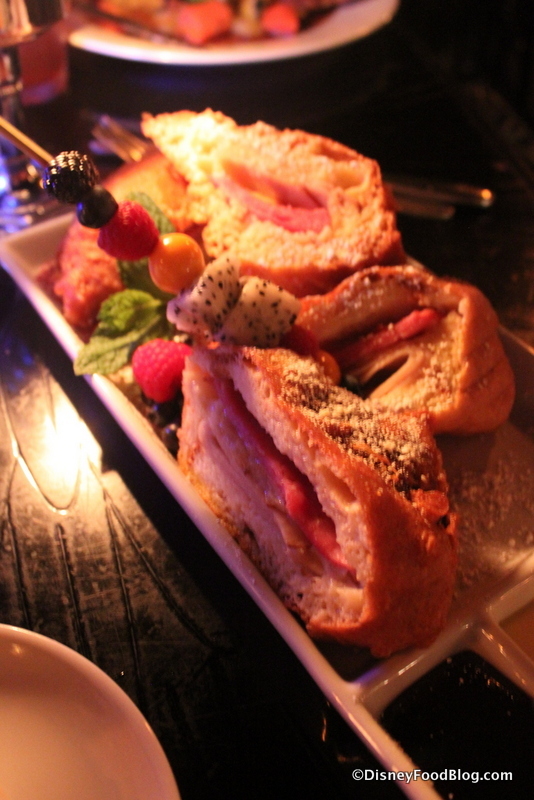 The New Interactive Dessert! So, I find it fascinating that of the four new restaurants that recently opened in Walt Disney World (Sanaa, Kouzzina, T-Rex, and Paradiso 37), three of them have donuts on their dessert menus! Kouzzina is Iron Chef Cat Cora’s signature restaurant in Walt Disney World, and the menu consists of many of her favorite traditional Greek recipes. One of these recipes is for her outstanding Loukoumades.